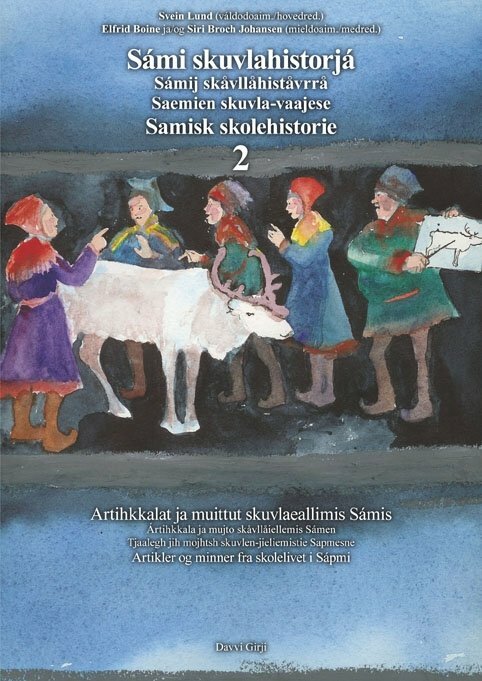 Among the most shocking stories about what Sami pupils have experienced in school, is how bilingual pupils, from the age of 6-7 years, have had to be interpretors between teachers or house keepers and the other children. Although we did not seek out these stories in particular, we have found five different stories describing situations like this. They come from five different municipalities, from the 1930-50's. This can suggest that this kind of practice has been fairly common. 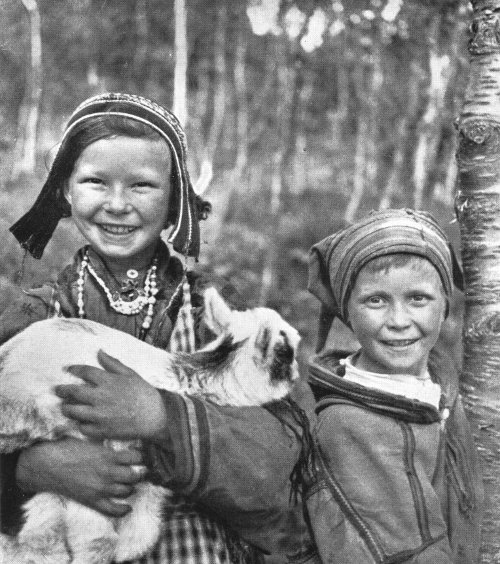 Marie N. Logje Eira came from a reindeer herding environment in Guovdageaidnu and learned Norwegian in the summer pasture in Skjervøy. When she began school in Kautokeino boarding school in 1930, she had to function as interpreter. - In the dormitory there was a woman called Katrine who was housekeeper in the beginning. Later on it was Gunhild Olsen. She did not know Sami, and I often had to translate between her and the other children, since they were not able to understand each other directly. Márjá N. Logje and her brother in the summer pasture of their childhood. 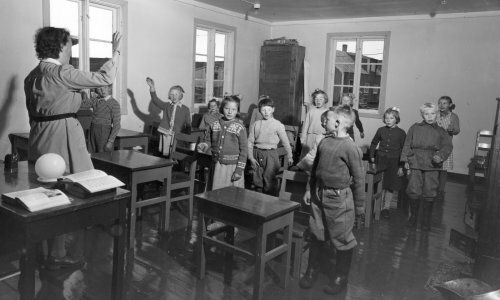 Johan Johannessen started school in Smørfjord school in Porsanger in 1938. The language spoken at home was Sami and I neither understood nor spoke Norwegian. Our teacher was called Elida Thommassen and came from Elverum. She was married to somebody from the municipality and consequently lived here. She couldn’t speak Sami so those pupils who could speak a little Norwegian had to help us others by translating what the teacher said into Sami. 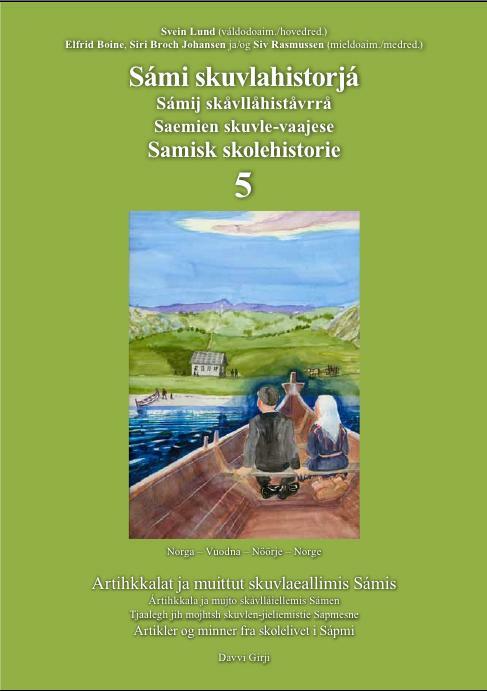 The head teacher, who was also director of the boarding-school, couldn’t speak Sami either. 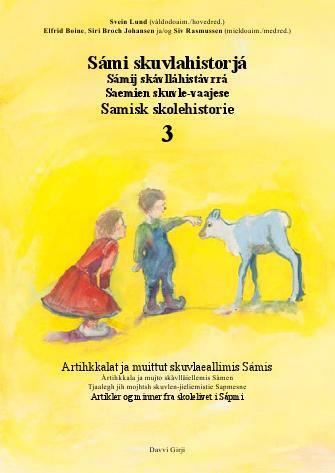 We weren’t allowed to speak Sami, but what were we supposed to speak then when that was all we knew? Gradually I learnt a little Norwegian but I got a lot wrong and the others laughed at me when I spoke the little I knew. 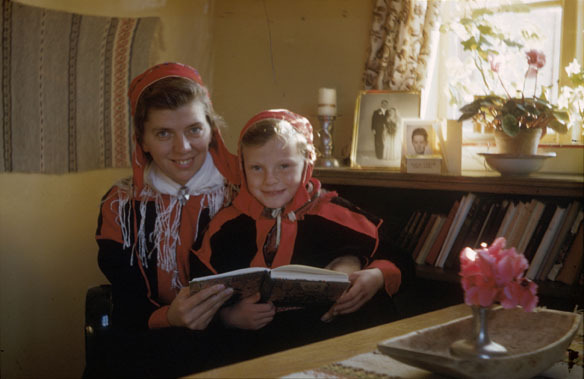 Einar and Sissel Gullichsen came from the eastern part of southern Norway to Sirma in 1953 and worked there until 1962, and later until 1968 in Karasjok. Subsequently they moved to Trøndelag, where they still are living. Teacher Sissel Gullichsen together with the pupil Ellen Adrianna, who had to be the interpreter between the teacher and the other pupils. The language was the biggest problem. As Bill is writing in his letter, nobody really knew any Norwegian when they started school. But Ellen Adrianna (Uhcaoabbá) from the mountain lodge who was 6 years old, knew some Norwegian, and she was open, communicative and funny. We talked to the chairman of the municipal education committee and applied for her to start school one year earlier - to help us. It worked out, and from the very first day Sissel and Uhcaoabbá became each other's private teachers. Sissel learned Sami, and Ellen Adrianna Norwegian increasingly. In the classroom she was used as interpretor in the first grade. But once Sissel was taken in by the language confusion. In the math lesson they were to use the fingers when they counted to 10. Sissel held up her thumb and asked; "Mii dat lea?" (What is that?). The pupils responded as it was: Bealgi - the thumb, but Sissel thought she had gotten to know the word for finger, suorbma, and for days and weeks they were counting thumbs and saying "Mus leat logi bealggi" (I have 10 thumbs). What did the children think? And it must surely have been amusing to Uhcaoabbá. Ingunn Utsi started school in Repvåg in Nordkapp in 1955. We were four who started first grade. 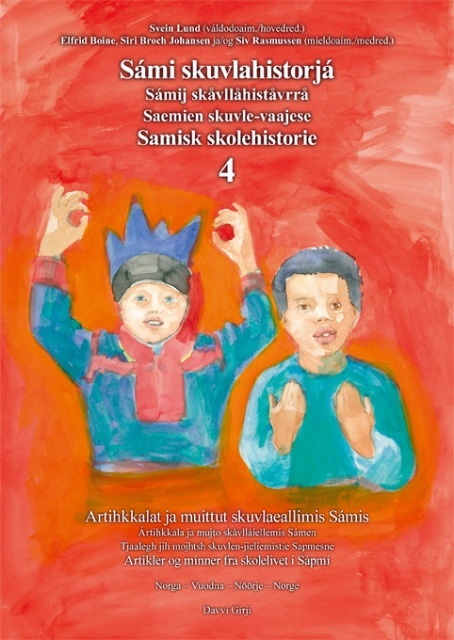 All of us came from Repvågstranda, and all of us were Sami speaking. The first year the four of us; Samuel, Ingebjørg, my brother Oliver and I, were allowed to live in the same room in the dormitory. It was not usual at the time, because the rules stated that girls and boys had to live separatly. Teacher and house keeper was Petra Pedersen, who came from Honningsvåg or Nordvågen. She was very kind, and a good teacher to us, although she did not have any formal teachers education and did not know any Sami. She did not judge us. Petra managed the school in such a way that we never felt inferior to the others in any way. Oliver was one year older than the rest of us and had learned some Norwegian, enough that he could partly interpret for the rest of us. I was quite good in school. It is very strange, taking in to consideration how little Norwegian I knew the first years. Everyone can understand what kind of interpreters that will be! 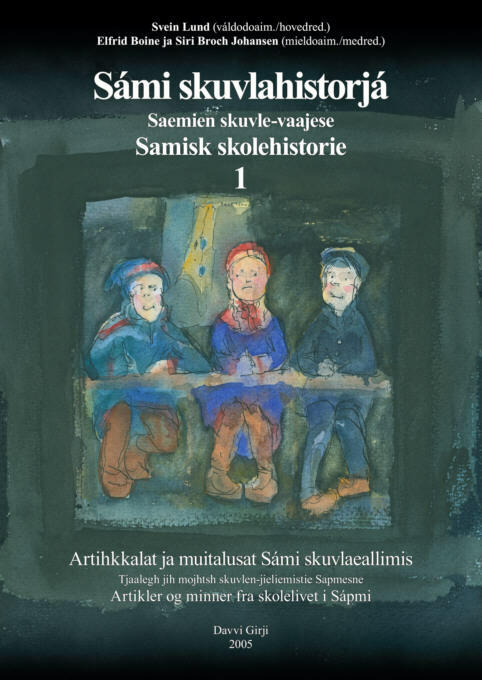 And another thing is when children in the first grade do not know Norwegian and the teacher does not know Sami, the child drops completely behind. It does not understand arithmetic or any other subject the teacher is teaching. At that point other pupils in the same class have to be used as interpreters, if they know some Norwegian. And everyone can imagine what kind of interpreters that will be!